The singer Claudio Villa, who sold 45 million records and won the Sanremo Music Festival four times, was born on New Year's Day in 1926 in the Trastevere district of Rome. The tenor, nicknamed 'the little king' on account of his diminutive stature and fiery temper, lent his voice to popular songs rather than opera although his voice was of sufficient quality to include operatic arias in his repertoire. His four wins at Sanremo, in 1955, 1957, 1962 and 1967, is the most by any individual performer, a record he shares with Domenico Modugno, the singer-songwriter who was at his peak in the same era. Villa recorded more than 3,000 songs and enjoyed a successful film career, starring in more than 25 musicals. His biggest hits included Ti Voglio Come Sei, Binario, Non ti Scordar di Me, Buongiorno Tristezza and Granada. He was a frequent guest on the Italian TV variety show Canzonissima, which was broadcast on state channel Rai Uno between 1958 and 1974. 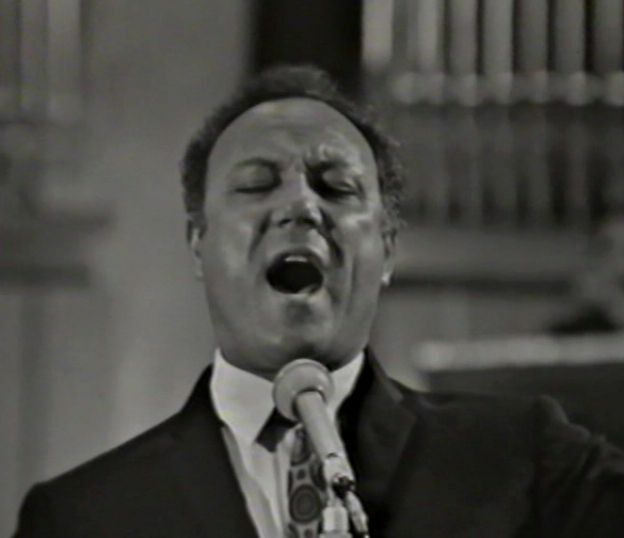 Later, he became a master of traditional Italian and Neapolitan songs. Born Claudio Pica, the son of a taxi driver, he was raised in a working class area, living in the shadow of Rome's main prison in Via Lungara. His talent for singing became apparent while he was still a teenager and he won the first song contest in which he participated, at the age of 14, performing the song Chitaratella, made popular by his idol, Carlo Buti. 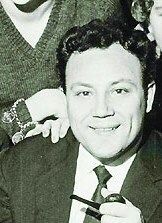 Villa began to make regular appearances on the local station Radio Roma in 1946 and made his first record the following year on the Parlophone label. He appeared in his first musical in the same year. His career spanned 40 years, tailing off only in the 1980s, when he was profoundly affected by the death of his mother. He performed at Sanremo for the final time in 1985. Villa lived in Rome all his life. In 1986, he took a prominent role in an anti-fast food movement after the fast food chain McDonald's was allowed to open a branch in Piazza di Spagna. His death, which was announced during the Sanremo Music Festival of 1987, came as a shock to his many fans. Suffering from pancreatis and heart trouble, he travelled to Padua to undergo surgery but never left hospital, suffering a heart attack a month after his operation. Villa married the actress Miranda Bonansea in 1952, with whom he had a son, Mauro, but they divorced after 10 years. After a number of relationships, including a long-standing one with the Roman singer Noemi Garofalo, who bore him a daughter, Manuele and a second son, Claudio, he was married again in 1973, to Patrizia Baldi. Patrizia was just 18, some 31 years his junior, and the marriage made headlines for that reason. Yet they remained together and had two children, Andrea and Aurora. 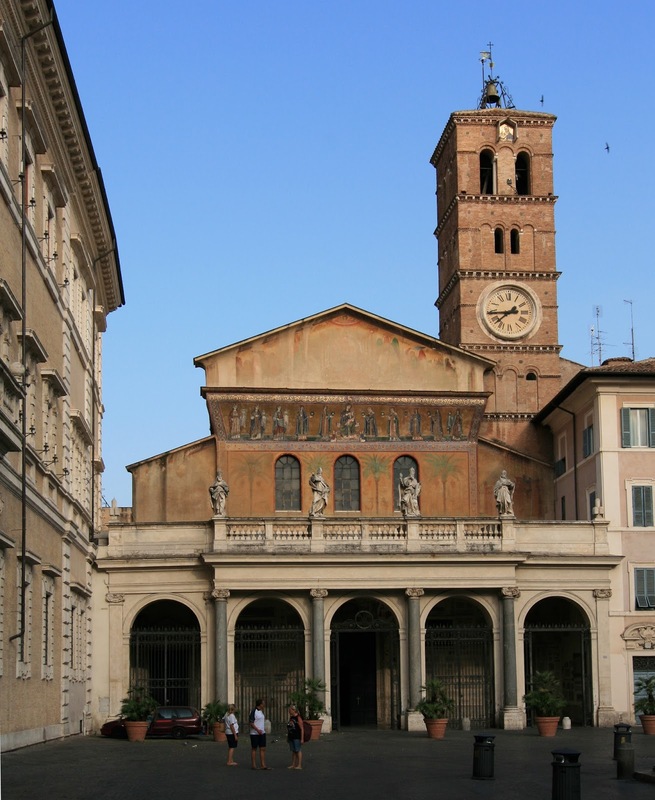 Although formerly a working class neighbourhood, the Trastevere district, which sits alongside the River Tiber, is regarded as one of Rome's most charming areas for tourists to visit. Full of winding, cobbled streets and well preserved medieval houses, it is fashionable with Rome's young professional class as a place to live, with an abundance of restaurants and bars and a lively student music scene. Trastevere is home to one of the oldest churches in Rome in the Basilica of Santa Maria. The floor plan and wall structure of the church date back to the 340AD, although most of it was built in the first half of the 12th century. Inside, the walls and ceiling are covered with breathtakingly beautiful 13th century mosaics, by Pietro Cavallini.